Just like any burger lover, I too crave for delicious burgers which won't burn a hole in my pocket. Mad About Burgers in Borivali West is the best place to find the juiciest triple-decker burgers at a reasonable price. Other than burgers, you should definitely try their Bacon & Cheese and Pepper & Cheese garlic bread as well. 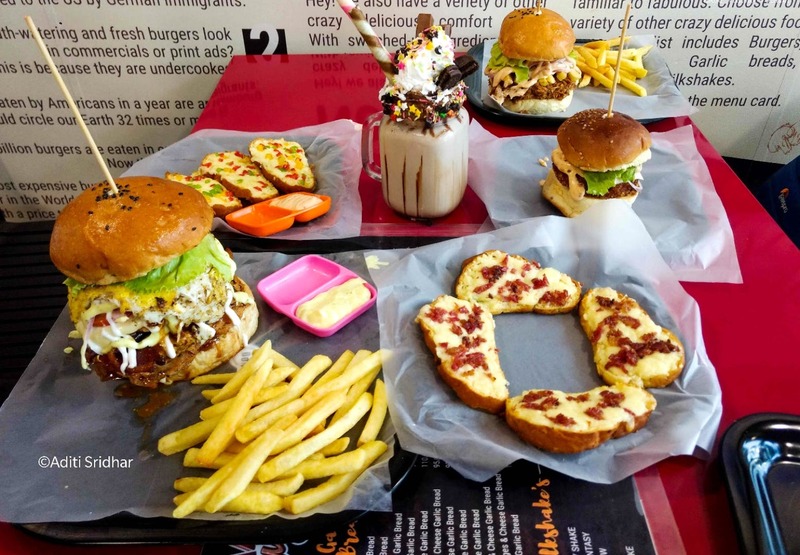 When you are hogging on to their delicious burgers, you might want to quench your thirst with their freak shakes. The freak shakes are not as creamy and thick as the ones you get in other eateries.